When your office computers stop working so do your employees. At YellowHammerIT we can install, deploy and support your office hardware to keep your business moving forward. 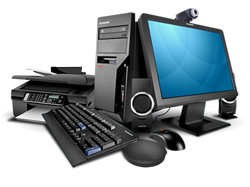 There are many other hardware components that we can manage and will be happy to customize and accommodate your requests in this area. As with all of our installations we will provide training and support.